The Golden Gate City is a great place to visit with lots to do and see with plenty of rideshare options to get you around the city whether it is shared ride van services or simply a luxury limousine so you can travel in style. 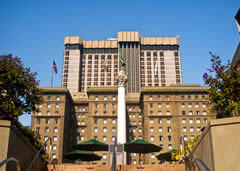 You will have a blast discovering San Francisco and its unique culture. When you arrive the first thing you will notice are the distinctive Victorian style houses. You may even pass by Silicon Valley or visit Candlestick Park where the Beatles gave their historic last full performance. If you are a wine connoisseur, or even a novice, and are interested in tours of local wineries you can find a wine tastings straight from the barrel in one of the countless vineyards from Sonoma to Napa Valley. This is a city that is also filled with activities for the entire family whether you are downtown or in the surrounding areas. A popular destination to get away from the city life is to visit the Golden Gate Park where you can feed the ducks, ride in paddle boats across the lake or drop by the the de Young museum. This fine arts museum is located within the park which has great exhibits and on Friday nights hosts a get together for local artists and musicians with a cafe and workshops. The weather here is mild with median temperatures in the low 60’s. SFO airport serves the San Francisco Bay area. Visitors to the area can find many options for ground transportation to and from the San Francisco International Airport to see attractions like the Golden Gate Bridge. Go Lorrie’s Airport Service has been proudly providing airport shuttle service in the San Francisco area for over 30 years. They focus on getting you there on time and with excellent customer service. Super Shuttle San Francisco offers quality shared ride van service and private vans at affordable prices. If you are looking for door-to-door service from a company you know, SuperShuttle is perfect for you. SFO International Airport is one of the largest airports in the US. The beautiful architect, easy to navigate terminal, and a blend of restaurants available inside the facility put it among the very best when it comes to top rated airports inside the country. It is a beautifully architected airport with water fountains and other jaw-dropping structures present inside of it. The thing which adds to its design is the round shaped terminal and its multiple runways, making it one of the busiest in California. Apart from being beautifully designed and well-maintained, presence of numerous shopping facilities and eateries also elevate its value among the passengers. You will find restaurants serving all sorts of food and shops selling items ranging from luxury clothes to designer shoes. Furthermore, the Mosaic Fine Art Gallery and SFO Museum showcase aesthetically beautiful art pieces. You can learn a lot about art, science, culture, and history by visiting this airport. Another thing which makes it so popular among locals as well as foreigners is its adjacency to the main highway. The highway separates the airport facility from the main city. On the other end of the airport is SF Bay. The flight flies over widespread San Francisco Bay both during takeoff and landing, giving extremely good views to the passengers. The beautiful Golden Gate Bridge, cable cars, and foggy weather aren’t the only things famous about San Francisco anymore. SFO International Airport is widely becoming a reason for its fame as well. The San Francisco International Airport is one of the busiest terminals in the world, but because of the convenient 13-mile stretch between the airport facility and central downtown, most travelers are able to get to their destination without missing a beat. That doesn’t mean, however, that you shouldn’t be prepared – reserve a shared ride van and get sweet deals from the transportation service as well as a fun and convenient service. Families from all around the world visit the sunny city, forcing the community to be incredibly welcoming to a variety of different people. Walk across the iconic Golden Gate Bridge for gorgeous art deco design and pictures along the 1937 structure. Reserve your own private van and enjoy other attractions the city has to offer at Fisherman’s Wharf, an amusement park known for its seafood, sea lions, and delicious oysters. Many believe romanticism is dead, that is until they visit the beautiful and intimate landmarks of San Francisco. Take a tour through the notorious Alcatraz Island, a historical prison that’s turned into a contemporary attraction for thousands every year. If you’d like to experience something a little closer to the shore, reserve a private sedan for a drive to the scenic, Pier 39, which is host to tons of tasty eats and unique boutiques. Because San Francisco is so massive, there are tons of different cultures to explore, so whether you’re a group of friends or a family looking for something exotic, spend the day walking through Chinatown, which is home to interesting architecture, authentic food, and interesting shops. Get in and get out of cultural hotspots like this by reserving a private SUV from our companies that offer a wide range of cars, from sedans to roomy family vans. Eat at the swanky Restaurant Gary Danko, a tasty French destination that services amazing fine dining with an American twist. Get there as if there’s a red carpet by scheduling a pick up by our stretched limousines from SFO airport, arriving onto your posh event in style and on time. Afterward, have your driver take you to to The St. Regis San Francisco, a refined tower with a posh lounge, designed perfect for midnight cocktails. Although the San Francisco cable car system is a great way to get around town, it’s not the most efficient transportation to rely on. This is especially true with large groups trying to get from point A to point B. Avoid waiting to transport everyone in separate chunks by reserving your own private chartered bus, made perfect for groups large and small that are in need of getting somewhere both fast and in unison. 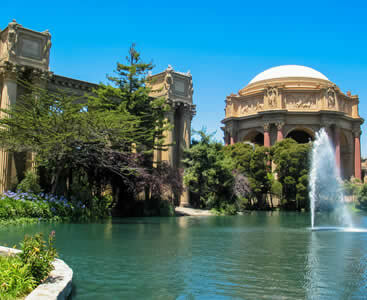 Located in the Marina District of San Francisco, the Palace of Fine Arts is a center for music events, business meetings and special events such as dancing, comedians, pageants and community gatherings. With just under 1,000 seats this historic theatre has modern lighting and sound to make any event or show spectacular. → If you are looking for parking at the Palace of Fine Arts you can try 3399 Lyon Street, the lot near the Golden Gate National Recreation Area. If you don’t mind a walk then Chestnut and Lombard Streets might work well for you but be sure to park in areas designated for parking so you do not get towed. → Another means of getting to the theater is by public transportation such as the MUNI bus in San Francisco or by BART train if you are staying in a hotel nearby. You may have to walk a block or two but you won’t have to be concerned about finding parking. 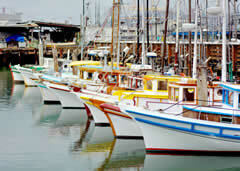 This famous waterfront center is a marketplace for fishing, visiting ships from our past and shopping for all ages. From here you can take a boat to one of the most famous prisons in the world, Alcatraz or as some call it , the Rock. You also have easy access to Angel Island where you can take in some of the most memorable and best views of San Francisco. → Don’t leave San Francisco without dropping by PIER 39. You won’t be disappointed as this is one of the most visited spots in San Francisco. While you dine you can view the skyline of San Francisco with sea lions in the background while enjoying some of California’s best wines. → Take a stroll along Hyde Street Pier at the San Francisco Maritime National Historical Park that empties into the San Francisco Bay and view several historic ships from the late 1800’s or learn more about the history of the America’s Cup. This popular tourist attraction is a must see destination if you are looking for shops, places to eat or hotel accommodations during your visit. Located in downtown San Francisco, you can take a stroll through the neighborhood and enjoy your favorite coffee, wine or food while you pass through the many art galleries, music events and a nightlife for those who are not ready to turn in early. There are a few things below that you should know that might help make your experience more pleasant during your visit. → You can find parking access at the Union Square Garage which is located underneath Union Square. If you have to use metered parking you can use the Parking Meter Card so you do not run out of change and get stuck with an expired parking meter. You could pay for parking at the nearby hotels but some may charge you a bigger amount than you expected so make sure you prepare before you head out. → San Francisco is known for having a lot of traffic so getting around Union Square may be easier if you do not have a car rental and take local services such as taxicabs, buses and even cable cars. 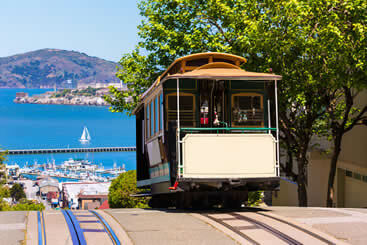 → While you are at Union Square you want to do some sightseeing with some of the most popular attractions in the area such as Alcatraz Island, Chinatown, Coit Tower, Ghirardelli Square and the Golden Gate Bridge.